There's a quote on the packaging of these pencils that says "Ancient philosophy teaches us that every journey involves climbs and falls. The creative journey is no different." Just like life, the game of Snakes & Ladders involves moving forward, sometimes getting to take a shortcut, via the ladder, and sometimes having all of your progress undone in one wrong step onto the snake. Sometimes it's a just the roll of the dice that decides your fate. And just like the game of Snakes & Ladders, this new Limited Edition Archer pencil has its ups and downs. This is the first in the Archer LE series, and this edition, at first glance, seems just like a package and lacquer change, but as you'll see, there are little differences. I didn't review the original Archer release because I didn't buy them at the time. The early reviews called them hard-ish and scratchy (and a good pencil), but I'm more of a dark and smooth guy, so I just never ponied up at the time. I got one in a swap box and LOVED it, so of course I had to buy a tube. They are hard and scratchy...in the absolute best way. Original and Snakes & Ladders packaging. One cannot talk about a Baron Fig product without talking about the packaging and presentation. They are among the best in the business in that aspect. Where the Original tube is very minimal and gray like the pencil, the Snakes & Ladders tube has the color and iconography of the pencils, with a pattern on the top and bottom (and hidden on the inside of the tube) that feels very Arab/Moroccan-geometric-style to me. Because this pattern rings around the tube, it unfortunately doesn't match up. And the pencil graphic on mine seems crooked. Each tube is going to be different degrees of that, certainly, and I'm sure that it annoys them more than it does me. 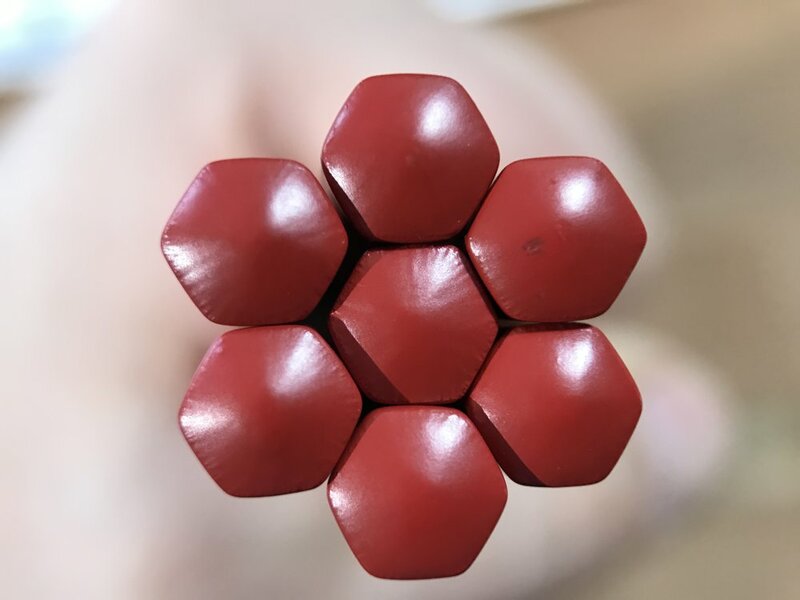 The lacquer on the shaft of the matches the tube, Vermillion Red, which has a slight amount of orange in it. Think of the color between red and orange-red. Then inch a bit closer to red. That's it. The end dip is darker, closer to cherry red. The imprint is white, and I think it's just painted on instead of printed in. Like the Original Archer, these have no eraser, so these are very light pencils, dropping in just a shade of 4 grams, on average. These smell of cedar, through and through. 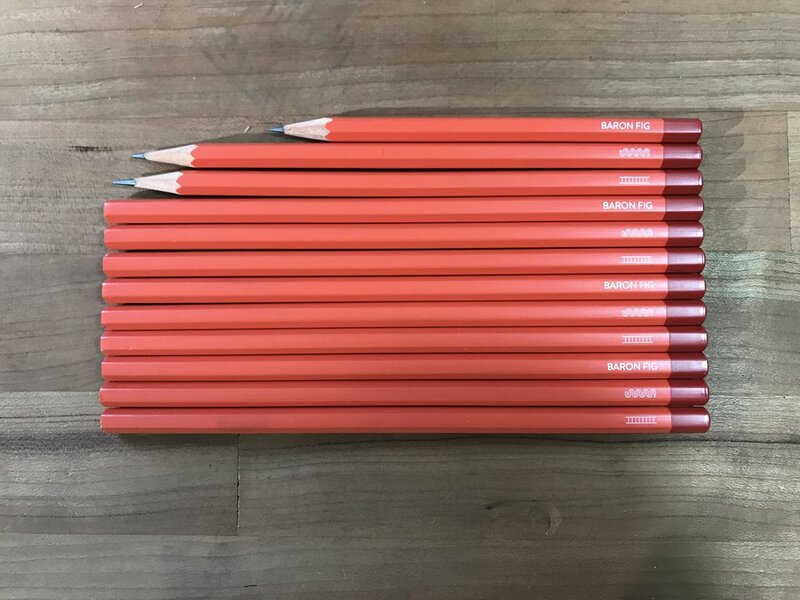 All the pencils were straight, but the cores weren't all centered. I'd say about six of them were good, three acceptable, and three were verging on the point of too far gone. Now I say this, but I am extremely picky about this. What I have a problem with, others think is fine. 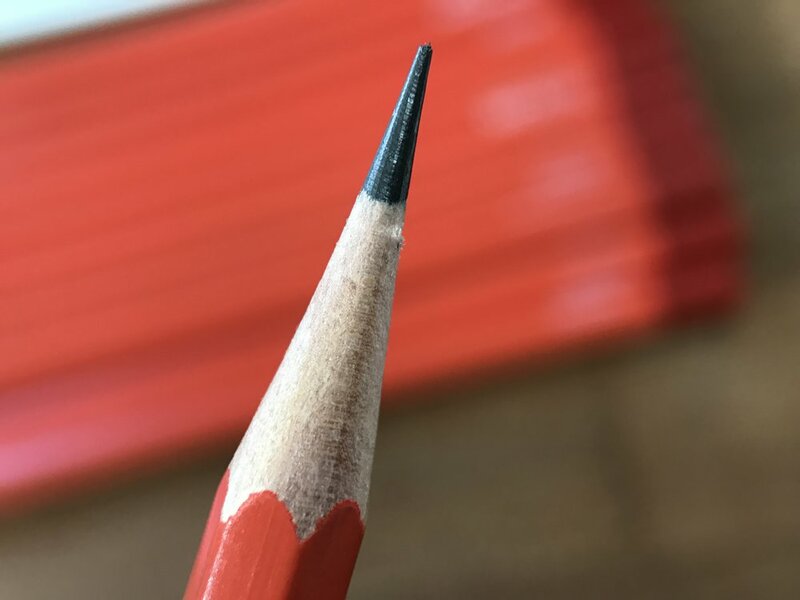 Users of hand sharpeners may have an issue, however, because that's when an off-center core really becomes a problem. On one or two of the pencils I could see the wood splitting from the core and down the shaft as well. The core itself is supposed to be the same as the Original Archer...but it's not. Not in the dozen I received, anyway. The Original Archer was made for the Baron Fig paper products, and it works smashingly. It's dark but hold a point on their toothy paper. The Snakes & Ladders is darker by a hair and feels like it should be just as hard, however, I found the core to be very brittle and prone to snapping when sharpened to a long point. I have a heavy hand, so I'm used to a little breakage here and there, but I've not seen a core snap this easily and so far up the point that is also this hard. I definitely have to recommend keeping this pencil out of long point sharpeners like the CP-80 or Classroom Friendly. Handheld users will fair better with a more standard point like the M+R Double Hole Brass or the Alvin Brass Bullet. Even then, upon first touch on the paper, there will be a little crumbling. The word I keep coming back to about this core is "brittle". It doesn't snap like a softer point pencil would, yet snaps as frequently. When sharpening handheld, the core shears off in chunks instead of shaving off. I had one that feels like it's completely shattered. 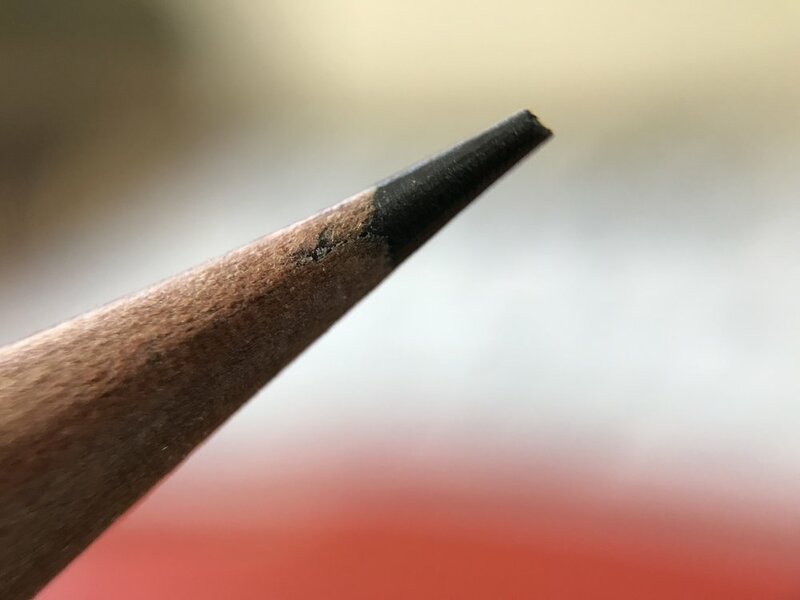 Everyone has their one pencil that performs better after it's been used down a bit: this is like that. Once you get it right and get through the crumbling and get the point worn down a bit, then the pencil shines. Like an old beloved car, you have to do everything just right to get it started, but once you do, it works great. Long Point snapped after one word. This was not supposed to be a semi-colon. There are a lot of things to like about this pencil, but there is one big downside. And unfortunately for Baron Fig, it's the one thing they can't really control as the designer of the Snakes & Ladders Archer but not the final manufacturer: the quality of the core just isn't that great. The tube says Made in Portugal, so it's not like they can just swing over there and check out the progress. The original Archer doesn't say the country of manufacture, but if these are supposed to be the same cores, then one can assume the same manufacturer. I really don't want to come off as a Baron Fig hater here, but I can't recommend these pencils. I can totally recommend the original Archers, and wholeheartedly do. I've gone through 4½ Archers since I got the tube, but I'm down to 7 stubs already of the Snakes & Ladders due to the core breakage, and I've been using them constantly, hoping I was wrong and finding a good experience. If you're a completist, or you like good packaging, get them. If you want a usable pencil, however, let me show you the Original Archer instead.